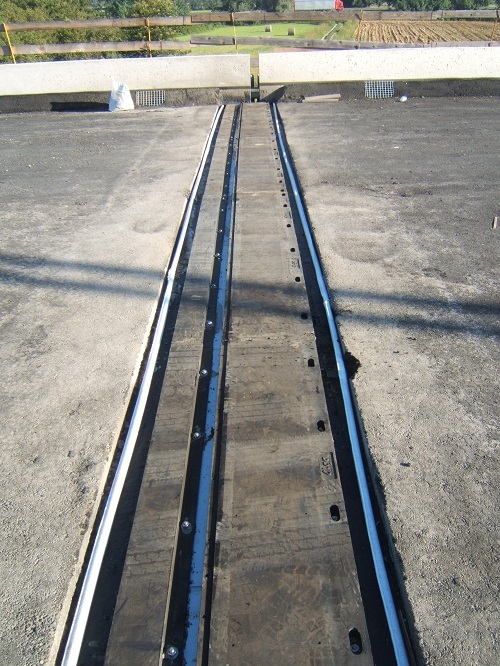 The railways expansion joints have the following properties: they allow movements between the decks, they permit drainage and prevent the rain to percolate; they give a structural continuity to the slabs, avoiding the penetration of the ballast into the gap, they prevent the transmission of stray electrical currents. The TW joint for railways in seismic areas, has been ratified by “Ferrovie dello Stato” (Italian State Railway Authorities) and complies with all specifications. The TW joints are made of dielectric rubber elements, vulcanised to the inner metallic structure. This structure, which acts as anchor and reinforcement, is completely covered by rubber. The joint, guaranteed for 10 years, is resistant to oils, grease, petrol, salts and sand. Heat, exposure to the sun, cold and snow do not cause early aging phenomena.